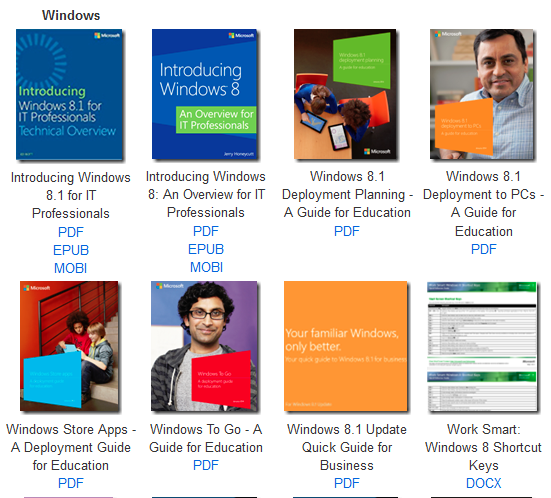 Microsoft has many many free ebooks available for download on their different websites. Up to now it was difficult to find them, since they are scattered over the different sites and pages. Thanks to Eric Ligman we now have a (complete?) list of all available free ebooks from microsoft. The books are available in different formats, most are pdf, some are epub or mobi and even some word and zip documents are available. Some of the ebooks are also available in multiple formats, just look at them. The books cover MS related topics, from Windows 7, to Server 2012, Sharepoint, SQL Server and many other related topis. You can also get a free info app, where new free ebooks will be announced.